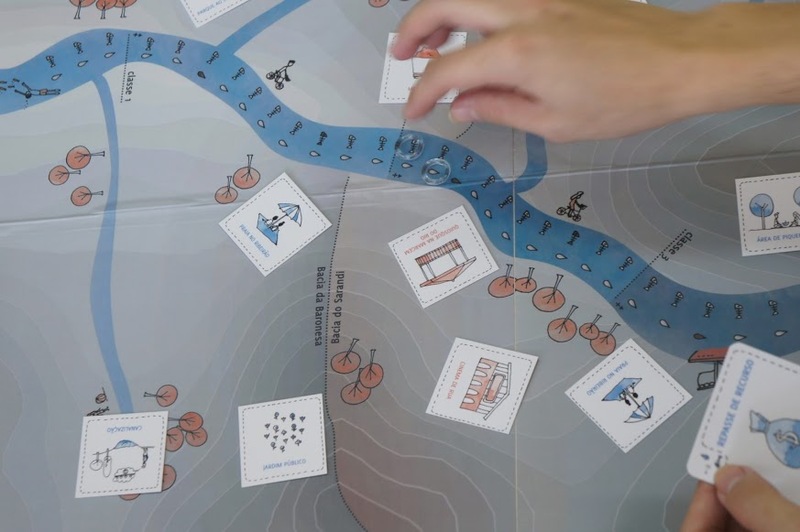 A series of four workshops, based on board games specially developed to act as a platform for the exchange of experiences about the city and to promote a critical reflection on urban issues such as mobility and the quality of the water resources in the city. 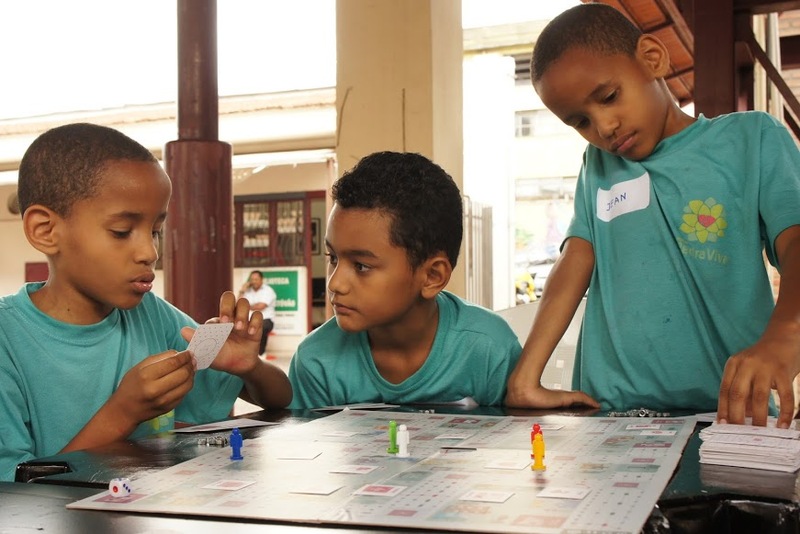 The workshops took place in community centers in the outskirts of the city of Belo Horizonte, Brazil, with the participation of children and teenagers from the neighborhood and also from social programs around the community centers. 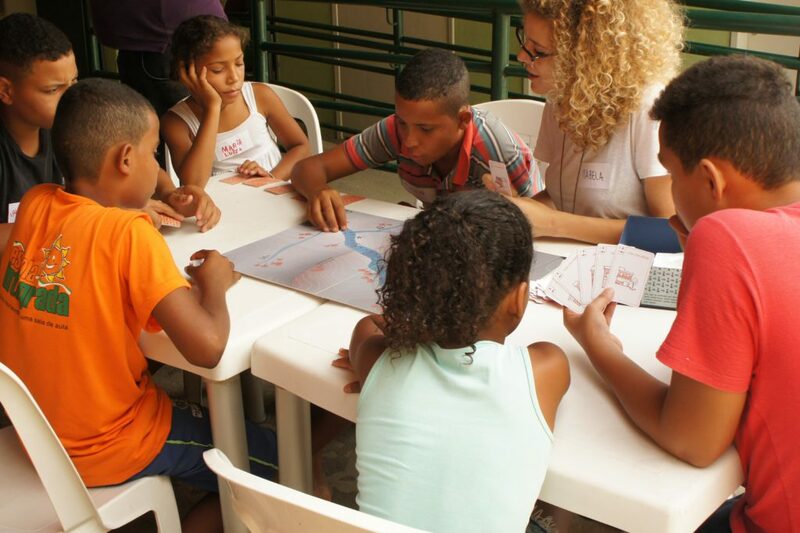 The dialogue in the workshops is mediated by two board games, the River game (Rio) and the mobility game (Mobilijogo). These games were developed by a team of architects and students, and aimed to promote a critical reflection on how we appropriate and relate to the urban space in our daily needs for housing, supply and displacement. The games simulate some urban situations in which players are invited to reflect on their habits and routines in the city and the implications of their choices on the collective space, natural resources and the infra-structural system of the city. Besides reflecting on the city, the workshops seek to promote the conviviality, the respect for otherness and the sharing of experiences in the city. We believe that the environment built around the board game made possible a reflexive essay on everyday spatial practice, towards shifting the competition for individual interests in the urban space to another challenge, which has more to do with building mutual commitments to improve the quality of life in the city. During the sections it was possible to record a wide range of understandings and views on the city. In the role of agency, these games can be understood as a tool for dialogue and exchange of experiences, favoring the expansion of spatial imaginary concerning other ways of producing, using, occupying and enjoying the city. 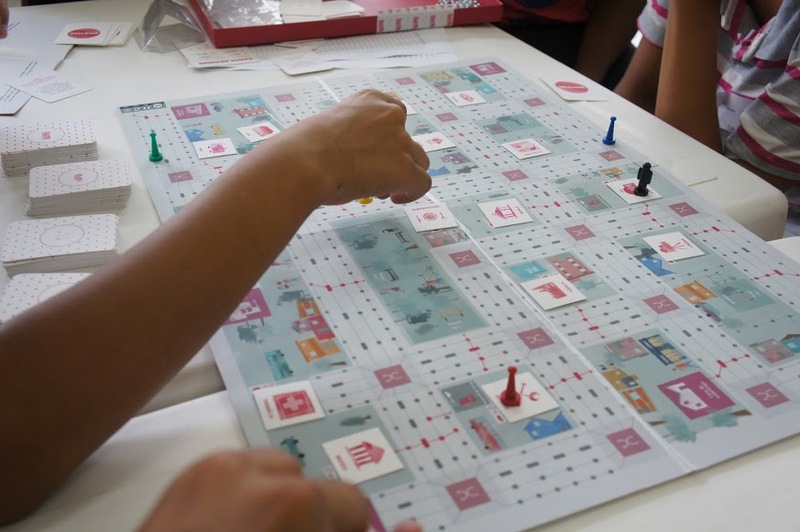 The Games RIO and MOBILIJOGO was developed by: Ana Paula Assis, Aline Franceschini, André Inoue, André Siqueira, Eduarda Assis, Frederico Almeida, Isabela Izidoro, Marllon Morais e Vitor Matos. Workshop tutors: Alexandre Campos, Aline Franceschini, André Inoue, André Siqueira, Eduarda Assis, Frederico Almeida, Isabela Izidoro, Marllon Morais e Vitor Matos. The workshops Co-inhabit the City were carried out with funds from Fundação Municipal de Cultura de Belo Horizonte.